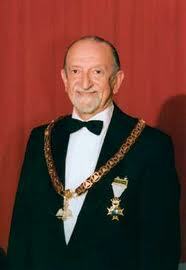 Leon Zeldis, an Israeli Freemasonry, is a towering figure in Masonic leadership and Masonic literature. This is a monumental work and deserves to be read in its entirety. If there is something in which the majority of contemporary thinkers are in agreement, is that we are experiencing a world crisis. As somebody said: “God is dead, communism has fallen, and I myself don’t feel so good.” From the sublime to the ridiculous in less than twenty words. There is talk of a crisis of values, the end of ideology, the oil crisis, the ozone crisis, the AIDS crisis, the economic crisis. Sometimes it appears that the word crisis is in crisis because of overuse. The fact is, whether a situation of crisis does exist or not, the sensation of crisis undoubtedly does, and this is almost the same thing. It is not only anxiety due to uncertainty about the future. The malaise affecting us has deeper roots, and perhaps less conscious as well. The Angst of our time is comparable to the sensation of somebody who is sliding down a slope without being able to reduce his speed, or seeing what. lies behind the net hillock. Worse still, he doesn’t know why he is there in the first place. The “future shock” brilliantly predicted by a writer a few years ago is no longer in the future, but a daily reality. Knowledge acquired with great effort in the course of years becomes outdated in a matter of weeks. We have hardly finished learning a new computer program when another appears, better than the previous one… and different. The problems of work, in the family, in society, are becoming more severe. We are sick of novelties. As another millennium comes to an end, we observe the growing chasm between our ever accelerating technological progress and the immobility – if not backsliding – in the moral and intellectual development of the human race. We should not be surprised, then, if apocalyptic movements and fanatical cults appear here and there, with increasing frequency. To speak of the new Middle Ages has become hackneyed. Berdiaeff, the Russian philosopher, writing after World War 1, already gave this tide to one of his books. The death of God was proclaimed by Nietzsche over a century ago. So let us leave aside these shopworn concepts, and within the limited space we have available let us examine instead in what way we might alleviate our condition, even if perfect solutions are not within our reach. Better light a candle than curse the darkness, says the old Chinese aphorism. This is precisely my intention. It could not be otherwise, taking into consideration the optimist and meliorist vision of the human condition implicit in our Masonic ideology. Freemasonry proclaims the possibility of improving society, starting with the betterment of the individual. Hence the vital importance our Order assigns to education, as a means of advancement and rectification, both of the individual and of society as a whole. Education is the best medicine against prejudice and intolerance. Education is the highest form of charity. However, education, commented Kraus, is something most people receive, many transmit, but very few have. The problem, as with so many other philosophical questions, lies in the definition of our terms. If education is conceived as simply a transfer of information, we shall fall into the condition observed by Trevelyan: a great many people know how to read, but are incapable of recognizing what is worth reading. Condorcet, in 1790, clearly indicated the ends of public education, and the first objective he postulated is the following: “Offer all individuals of the human species the means to provide for their needs, ensure their welfare, know and exercise their rights, understand and fulfill their duties.” Please note: not a word about mere accumulation of knowledge. We could hardly improve on this definition, even today. Nowadays, data is obtained with utmost ease. It’s enough to have access to a computer terminal, and the whole world of information is at your fingertips. If we suffer, it’s not because we lack information, but because we are overwhelmed by it. We have a surfeit of information. The importance of education is precisely the acquisition of a capacity to judge, to categorize, to personally classify and evaluate the quality of the information received, not only from the factual, but also from the ethical and teleological standpoints. Particularly in our present world, submerged in a maelstrom of stimuli and distractions that pull us apart from the essential, where, as noted by Umberto Eco, the mass media do not restrict themselves to transmitting an ideology, but have become an ideology themselves, the spirit of serene and academic examination is a last refuge of the thinking man. The university thus becomes the fortress of Humanism, the forum where all ideas are brandished and debated within the greatest freedom, restricted only by the freedom of others . That, likewise, is the function that must assume Masonry in its Temples, and that is only one parallel among many that link both institutions, University and Freemasonry. This may be an opportune moment to underline the fact that Masonry, as a social and historical phenomenon, must be studied as part of the History of Ideas, and its philosophy, without question, belongs in the stream of philosophical ideas of Western civilization and is inseparable from it. The same refreshing and humanistic impulse introduced in Europe during the Renaissance, that led to the study of the classics and brought about a rebirth of architecture, beginning with Bacon established the bases of the inductive and experimental method of scientific research that would eventually lead to the development of present day science. This creative impulse resulted in the foundation of the Royal Society of England in 1660, the first society devoted to scientific research, and on the other hand, it found expression in the creation of the premier Grand Lodge in London, on June 24, 1717. It need not surprise us to learn that many personalities in science and philosophy were active in creating the one and the other. Putting together science and philosophy is not accidental. The roots of modern science lie in Renaissance philosophy — and Natural Philosophy was an early name for physical science. Freemasonry is intimately connected with social changes and the development of ideas in Europe in the 17th and 18th centuries. No serious study of the beginnings of Speculative Masonry, for example, can ignore the role played in English society at the time by the important influx of Huguenots, fleeing France after the St. Bartholomew massacre. According to one author, the most important single English contributor to the Enlightenment was John Locke, who believed in religious toleration and was in almost unbroken contact with French-speaking Protestants from 1675 until his death in 1704. A Huguenot, John Theophilus Desaguliers (1683-1744) who was a scientist of note, had an important influence on the beginnings of English Freemasonry, serving as its third Grand Master (1719) and later as Deputy Grand Master for several years. Likewise, a serious study of Masonic philosophy must address the Rosicrucian phenomenon in the 16th and 17th century, the development of the Hebrew Cabala and its Christian offshoot, the different semi-secret and semi-occult groups that flourished in Europe from the end of the Middle Ages until the Victorian age, from Dante Alighieri’s Fideli D’amore through Baron Tschoudy’s pseudo-Templars and down to the Golden Dawn created by Wynn Wescott and MacGregor Mathers in the last decades of the 19th century. On the other hand, a study of European or Western philosophy that ignores Masonry is also incomplete. A writer of the stature of Lessing (called the first German playwright of importance) could author the “Masonic Dialogs”, and poets such as Kipling and Burns wrote many a Masonic poem, apart from the influence Masonic thought may have had on their work. However, let us return to the theme proposed at the beginning of my talk. Having observed the prevailing malaise of our “global village” and having established the validity and placement of Masonic philosophy within an academic framework, we should focus now our attention on the principles of Masonry, on the one side, and in what way could they be applied in order to assuage, as far as possible, the existential anguish of contemporary man. An objection could be advanced, that such study is pointless, because we would be guilty of hubris if we were to pretend that the discussions held within a Lodge or any other Masonic context could really affect the course of events in our society. However, the pen is mightier than the sword. Men pass away, and their memory fades until only a distant reflection of their presence remains with us. But ideas stay forever, embodied in words capable of stirring our passions no less today than centuries ago. And what are those ideas, transmitted by our Order, that we believe capable of improving the world? I can only graze the surface of our subject. I shall try, then, to summarize our Masonic teachings in two fundamental principles, like the two columns at the entrance to King Solomon’s Temple. These may not be the same ideas enunciated elsewhere by other Masonic authors, but I will ask you to bear with me for a moment. In my opinion, the first fundamental principle that sustains our institution, more important that charity, mutual help, tolerance, and all other virtues that we cultivate, is simply personal responsibility. To Cain’s anguished question, resounding from century to century to our days, “Am I my brother’s keeper?” we give a ringing and unequivocal reply: ‘Yes, I am!”. Let me explain a little further. We want to improve the world, but improving the world is a very complicated and difficult task, depending not only on us, but on many others, as well as on many circumstances that we are powerless to affect. On the other hand, our personal improvement, that depends only on our own resolve, it’s our decision and nobody else’s. Every human being is capable of polishing his imperfections, restraining his bad impulses, developing his positive inclinations, without requesting anybody’s permission, under any circumstances, in any place and time. If we want to, we can be better. Masonry gives us support, shows the way, stimulates us and tends us the symbolic tools to make our task easier, but in the final account, it’s ourselves who must wield the tools, each at his own pace, following his own music and way through life. That is personal responsibility. The second principle, no less important than the first, is the possibility of finding a common ground, of working together, involving collaboration and developing feelings of fraternal affection among persons with the most diverse backgrounds, with different social and ethnic origins, speaking diverse languages, belonging to different cultures, religions and political movements. Despite all these enormous differences, which Freemasonry recognizes and accepts, it still insists in demonstrating that there is a common level of humanity that binds us all, a joint yearning towards the far distant goal that makes us fellow travelers on the road to truth. Our ideal is capable of surmounting all inequalities. Working together, we develop our sentiments of Fraternity and Charity, Tolerance and Assistance. This great principle, which we might call Fraternal Cohesion, the possibility of establishing and developing links of sincere friendship among all men, is perhaps our greatest contribution to society, so often riven by class, religion and politics, not to speak of prejudice and blind hatred. Fraternal Cohesion finds expression both in the spiritual and the material realms. In the spiritual, by the instant effective communication that develops between Masons who have never met before, and may never meet again. No less important, it grows within us, and the assistance given to others miraculously creates within us a wealth of inner satisfaction and development. In the material, this principle finds expression in the many works of charity and social benefit undertaken by Masons institutionally and individually throughout the world, often under a veil of discretion. The Mason is taught to give without causing offense to the less fortunate. This discretion has led to a situation where much of our charitable effort is ignored by the world at large, or attributed to other, non-Masonic sources. How many people know, for instance, that taken together, Masonic charities in the United States distribute over 3 million dollars every day, in a multitude of programs, from children’s hospitals to the study of mental disease? Not only hospitals, but libraries, universities, cultural institutions of every kind, benefit from our largesse. The same could be said, guarding the proportions, of Masonry in many other countries. Looking back at the depressing picture of our present world, with which I started, we can see at once how Freemasonry can and does help, can and does make a difference. Firstly, Masonry imposes upon us a discipline of thought, a philosophical posture that demands the rational examination of problems. Just as in Marcus Aurelius, the constant remembrance of the fragility of human existence pursues him without pause, and leads him to disdain the miseries of life, the Mason learns to face with serenity the tumultuous landscape of daily strife, the strident claims of the media, the hysterical demands of the merchants of ideologies. Silence is the best antidote against confusion. Secondly, we face the future with optimism. This is an imponderable factor, but one that subtly infuses our way of looking at things and strengthens our will, sustaining a proactive rather than passive stance. The external action of Freemasonry, of course, depends on local circumstances. Masons have fought for religious tolerance, universal education, the separation of church and state, the removal of social barriers of every kind. Allow me now to say a few words about Freemasonry in Israel. As you will see, this has a direct bearing on the subject of our talk. What characterizes Israeli Freemasonry, and has done so from its very early beginnings at the end of the last century, is its ethnic and cultural-diversity. Starting with the first Lodges, in Jaffa and Jerusalem, there have always been both Arabs and Jews working together, of all religious persuasions, speaking many languages, keeping alive the flame of fraternity even in the most trying circumstances. Israel’s Masonry is composed of a majority of Jews, and a strong proportion of Christian and Muslim Arabs, much greater than their demographic weight in the total population. This pluralist tradition has withstood wars and terrorist attacks, strife and agony. Our Grand Lodge opens three Sacred Books on its altar: the Jewish Tanach, the Christian Bible, and the Koran. Three Grand Chaplains are equal in rank. 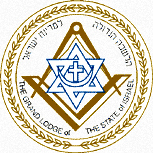 The Grand Lodge Seal includes the cross, the crescent and the -Star of David within square and compasses. Coming from Israel, I bring the direct and irrefutable testimony that Masonic ideals do work, and that they have proven their worth through scores of years of uninterrupted conflict. This, however, is no isolated instance. We could give numerous examples taken from the history of other countries, the United States included. The enlightened and beneficial contribution of Freemasonry is felt in many forms, through the activities performed by Masons themselves, not only by the Institution as a whole. As Professor Carvajal once remarked, the University doesn’t operate patients or build bridges, and Masonry does not intervene directly in the life of the country, but both institutions operate their effect through their graduates and individual members. The influence of Freemasonry is not limited to what its members do themselves. The love of freedom, the lesson of tolerance towards others, learned in the course of Masonic activities, are inevitable reflected in the professional life of its members, their dealings with others, their way of life as a whole. The influence of their example spreads like ever widening waves and elicits favorable reactions in others, contributing to improve human relations, reduce extremism, control the passions. Whether a judge or an architect, a politician or a merchant, the influence of Freemasonry contributes to reinforce man’s natural impulse to do good, seek the truth, help others and avoid excess. I shall quote a few sentences from an article published in 1970 by Bro. Pedro Fernandez Riffo, entitled Masonry and Axiology, that will serve to illustrate our thesis. Philosophy, as well, invites to action, because to act is to live, and philosophy is embedded in life itself… Let us remember Ortega y Gasset, for whom human life is a manner of doing philosophy. It’s not a matter of discoursing about what a good man must be, but of being one. This, too, is Masonic philosophy. We trust in the actuality and effectiveness of our ideals. We trust in the possibility of improving ourselves, and thereby improving the society in which we live, and we work diligently, here and now, for the realization of our objectives. Human beings desire perfection, strive to become better, and if we create the conditions that will enable them to develop all their capacities, there is no limit to what can still be achieved. Freemasonry, humanistic and meliorist, will stimulate, accompany and participate forever in the prodigious saga of human progress. Hon. Asst. Grand Master G.L. of the State of Israel. P. Sovereign Grand Commander AASR, Israel.